This entry was posted in Vocabulary via Books and tagged Bema, Cholent, Dreidel, Dummkopf, Goy, Goyim, Jewish culture, Kaddish, Mien, Minyan, Mishegoss, Mitzvah, Schmootz, Shabbes, Shokhet, Shut, Yiddish by Lori Ericson. Bookmark the permalink. Many thanks for such a lovely review. So many of the words I used are so much a part of me, that I forget that to many readers these terms are as foreign as foreign can be. My hat’s off to you and your research. You might be interested to know that in Israel the dreidel is a little different. The letters on it are an acronym for “A great miracle happened HERE. Just learned that a few years back. Thank you again many times over. The book was perfect for this blog, and I can’t wait to read the next one, Rochelle. You really do an excellent job of incorporating the Yiddish words to make it interesting but not overwhelming for us newbies! You are welcome. 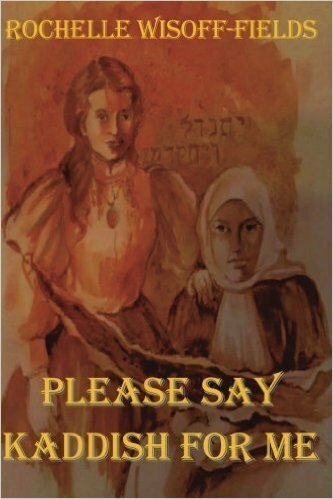 A wonderful review, and explanation of the Yiddish words. Great review of this fabulous book. And a wonderful idea to share the words that caught your attention. A review of Rochelle’s Wisoff-Field’s book, Please Say Kiddish for Me. I’ve read all three of Rochelle’s novels and absolutely loved them, so you have a great treat in store, Lori, with two more volumes to read. I love that Jewish word for a stupid person “Dummkopf”. I’m not sure that “hornbeam” is just a Jewish word, though 😉 In the UK. people often have hornbeam hedges, keeping them trimmed to prevent them becoming trees. We used to have one in the bottom of my garden when I was a small child and I used to look out of my window at night, hoping to see fairies in the hedge. The nearest I got to witnessing anything magical, was seeing some glow-worms shining beneath them one night. That does sound magical! Yes, I’m sure it’s not Yiddish, but an unfamiliar tree to me so it was included. I can’t wait to read the next two. She’s quite a storyteller. Thanks for the comment. Actually dumkopf is a German word. Hence used by Ulrich. Although my rabbi says that Yiddish is a ‘low German.’ Not sure I totally agree but the two languages do share a lot of vocabulary. Hornbeam is the type of tree. I couldn’t tell you the origin of the word but the tree is indigenous to the area.